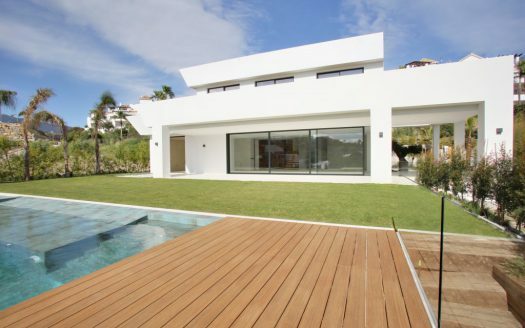 Beautiful villa in Sierra Blanca of 6 bedrooms, 8 bathrooms which 6 en suite. 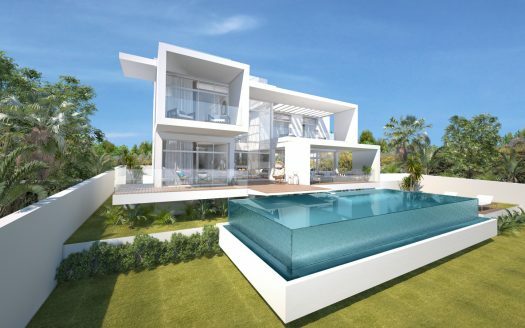 Uninterrupted views to the sea,Puerto Banus, and beyond to Africa are usually the primary requirements of most home purchasers wishing to live in Marbella, and living without the disturbance of immediate neighbors remains, for most, just a dream. 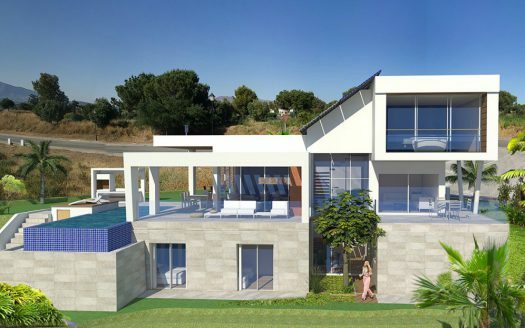 However this magnificent villa, built with beamed ceiling on a specially selected plot, enjoys the most beautiful unobstructed panorama to the south from the covered and opened terrasse, and with all surrounding plot now fully developed as mature gardens boasting an extensive range of exotic plants and trees and featuring an ornamental fountain,a peaceful environment to the east, west and north is guaranteed.This property offers total privacy with no possibility of being overlooked or interference from neighbours.The property include also a separate apartment, sauna,sound system,water tank,wine cellar and has a driveway to the private garage with electric gates and with a separate access to the main entrance of the house.